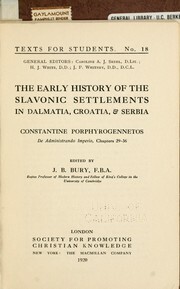 1 edition of The early history of the Slavonic settlements in Dalmatia, C... found in the catalog. Add another edition? 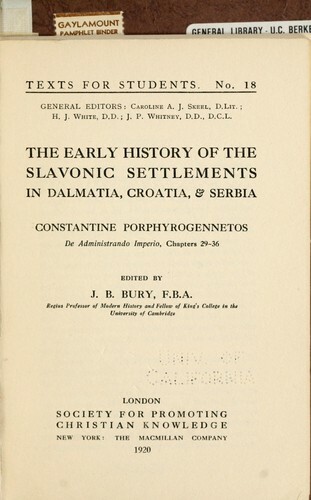 Are you sure you want to remove The early history of the Slavonic settlements in Dalmatia, Croatia, & Serbia from your list? 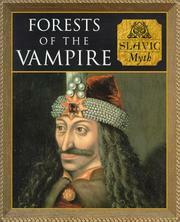 Published 1920 by Society for promoting Christian knowledge, Macmillan in London, New York .